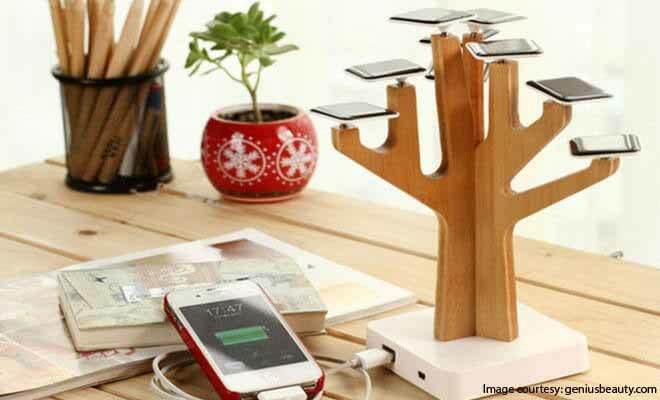 The nine solar leaves charging tree is ideal to boost your mobile phone, and MP3 player battery. The polished handmade bamboo wood has a mini USB input slot and regular USB output slot as an eye-catching desktop solar charger. The Suntree solar charger has 1,350mAh built-in rechargeable lithium battery that stays for over 20 hours. What is unique about this power storage device is that each of its solar panel leaves collects 5.2V/20mA from the sun. More so the output capacity is 5V/1000mA. The output rating of the Suntree solar charger is not ideal for tablets. The Suntree solar charger doesn’t need any special set-up after purchase. It is meant to stay by the window for access to sunlight, and smartly charge your gadgets. The window mounted solar charger is a one-stop solution for anytime-of-the-day charging needs. Many users enjoy this device because of the compact materials. The choice of photovoltaic cell, bamboo, and ABS plastic materials are genuine and durable. When the Suntree solar charger is not in use, you can easily store this device for future use. The dimension of 22.0 x 10.0 x 10.0 (cm) makes the portable charger handy. More so, the leaves (solar panel) were generously designed with a size of 3.9 cm x 3.9 cm that collects much sunlight in a faster than regular solar panel chargers. Read Also – ECO-POWR Reviews – What Is ECO-POWR And How Does It Work? The built-in technical attributes of the Suntree solar charger brings green energy to your devices. The solar cell technology charges your mobile phones within three hours and still has enough juice to power other appliances via its USB outlets. With the solar charger’s nine energy harvesting leaves, all the technical details you need to know are listed below. The research that made the Suntree solar technology (photovoltaic) brings a reliable power source. It is a convenient way to charge phones and other handy devices without requiring moving parts. Apart from using the solar technology to bring power to mobile devices, outer space satellites enjoy the benefits of solar too. Suntree solar charger maximizes battery life: The output that Suntree charger gives is D.C. electricity from sunlight. The built-in lithium battery provides electrons to your appliance’s battery in a steady and slow. This slow supply of charge maximizes your battery life, and you will not worry about repetitive discharges. It is the constant discharges from the frequent use of your phone that reduces the strength of lead-acid batteries. More so the Suntree solar charger has a charging system that doubles the lifespan of your lead-acid batteries. If you use lithium batteries in your mobile device, that’s a better advantage because they are stronger than lead-acid batteries. Power independence: When you purchase the Suntree solar charger, they feeling of electrical independence allows you to take this portable charger anywhere you get sunlight. The device can be used in the remotest places like the desert, beaches, wildlife camps, mountaintops, and other places your generator can’t go. Eco-friendly: The silent solar-powered charger is clean energy that is easy to use. The nine solar panels love sunlight, consume no gasoline and generate constant electrical power to your appliances. Safe and Reliable: The output of 5 volts charges your dead battery from zero to one hundred percent in less than 3 hours. It is a safe means of charging without the fear of electrical fires and electrocution. The solar charger requires no installation, and it is inherently safe. The sunlight that goes into your Suntree solar charger is renewable energy that provides constant power supply to your devices. But in the event of a sunless day (like in winters), you could be left disappointed. The sun is a powerful source of energy that stores up in the built-in battery of this product longer than regular solar chargers. However, a day without the sun will render your Suntree solar charger ineffective. A mobile power bank device can serve as a backup charging system for the Suntree solar charger. On days when there is little or no sunlight to charge your solar charger, you can switch to the already-charged power bank. The Suntree solar charger has two USB ports that supply charge to your devices at any time of the day. All you need is to place the nine solar cells leaves under sunlight. This device is the most attractive solar power bank that doubles as home decor. The tree-like solar charger has a base that supports and serves as connecting points to your appliances. When fully charged, the built-in battery holds 1350 mAh of green energy. Nature plays many roles in our daily life, an infusion with technology is a beautiful sight to behold in your living space. The Suntree solar charger is fragile but compactly built to last longer than regular solar chargers commonly found. The polished bamboo stem is eco-friendly and easy to clean from specks of dust. Also, the monocrystalline silicon solar panels that serve as nine leaves require little maintenance to keep the cells clean. 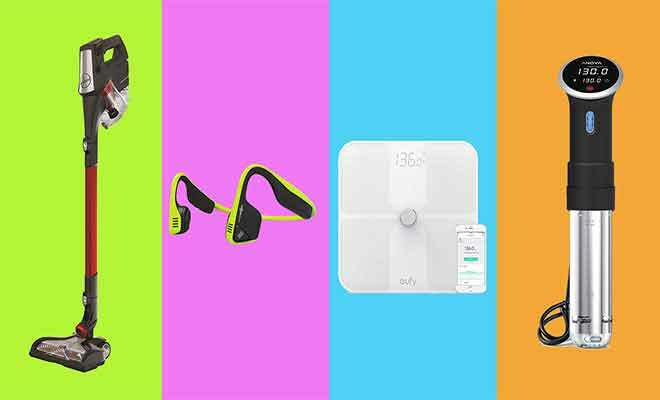 Read Next – Ever Imagined That You Could Use Your Clothes To Charge Your Smartphone?